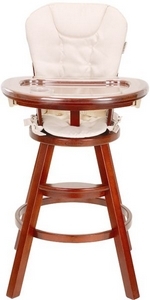 On October 9, 2012, the U.S. Consumer Product Safety Commission and Health Canada, in cooperation with Graco announced a voluntary recall of Graco Classic Wood Highchairs. If you own this chair, stop using it immediately! Remember that it is illegal to resell or attempt to resell a recalled consumer product. These seats are manufactured in China and sold by Graco Children’s Products Inc., of Atlanta, Ga. 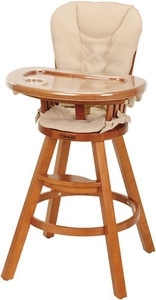 Hazard: The high chair’s seat can loosen or detach from the base, posing a fall hazard to the child. 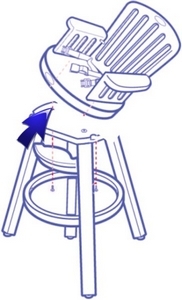 Incidents/Injuries: Graco has received 58 reports of the high chairs’ seats loosening or detaching from the base. There have been nine reports of children falling as the seat detached from the base, resulting in reports of bumps, bruises and scratches. Graco has received one report of a concussion in Canada. Consumer Contact: For additional information, contact Graco at (800) 345-4109 between 8 a.m. and 5 p.m. ET Monday through Friday and, or visit the firm’s website at www.gracobaby.com. Please spread the word about this recall so we can keep our babies safe! < How I Make Mom Friends and Get Play Dates	> Vegetables and Yummy Foods—Together?